This project involved the widening of Beaver Avenue in a residential area. 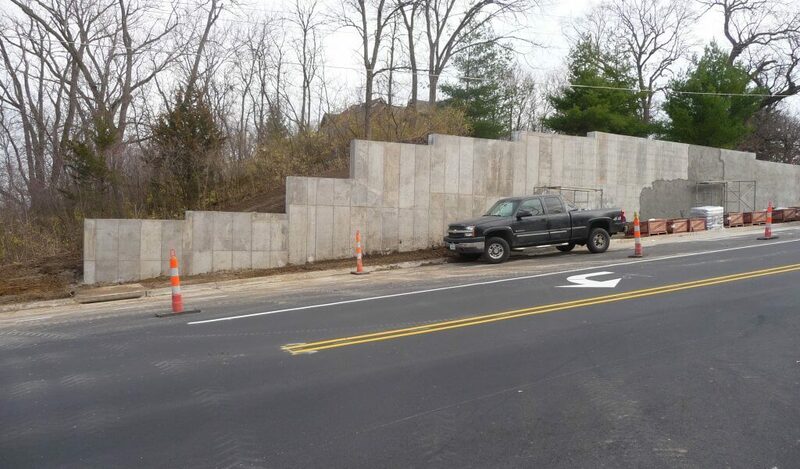 Retaining walls were utilized to facilitate roadway widening without the need to purchase additional right-of-way (ROW), which can be quite expensive and cause project delays as purchase negotiations occur. 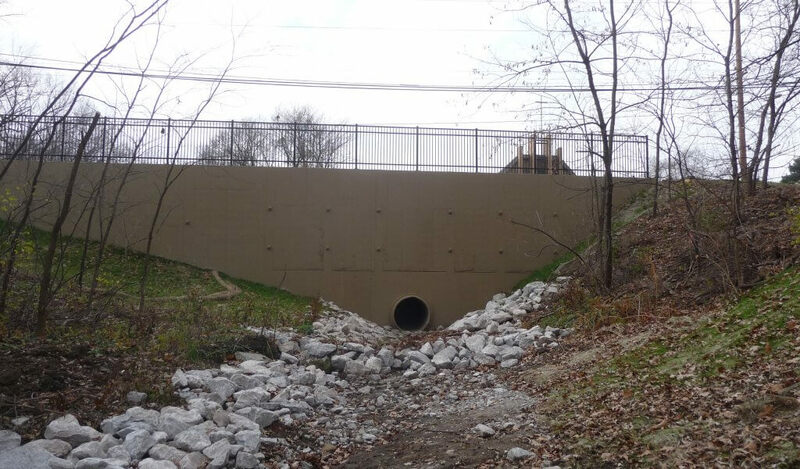 During project development, wall types were determined based on whether the widened roadway resulted in a cut or fill situation. Three retaining walls were constructed in a fill condition where additional embankment material was required to widen the roadway. 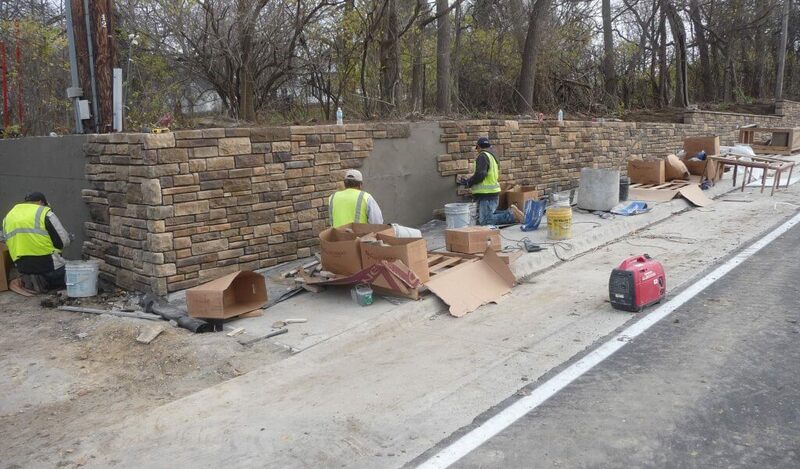 The other retaining wall was constructed in a cut condition, removing material to widen the roadway. The original project intent was to design cantilever sheet pile retaining walls for the three fill condition retaining walls and a reinforced concrete cantilever retaining wall for the cut condition. During final design, it was determined that rock was too close to the surface to use cantilever sheet pile retaining walls for the fill conditions. Soldier pile and lagging retaining walls were determined as the most economical wall type with the least amount of disturbance to the adjacent properties. To economize the soldier piling, tie back anchors were designed for the walls exceeding seven-feet of retained soil. A large cantilever retaining wall was designed for the cut condition. The reinforced concrete cantilever retaining wall ranges in height from seven to 16-feet 6-inches. The soldier pile and lagging retaining wall consisted of back-to-back channels with plates welded on the flanges for the soldier pile and horizontally placed sheet piling for the lagging. During construction, the contractor proposed a value engineering change where the soldier pile was fabricated from H-piling and the lagging was changed to reinforced concrete. The design of the tie back anchors was the responsibility of the contractor based on a performance-based special provision for grouted tendons as the anchors. The contractor also proposed a value engineering change to helical anchors. The contract plans called for weathering steel for the soldier pile and sheet pile lagging, which would have provided a rustic appearance with very little maintenance required. 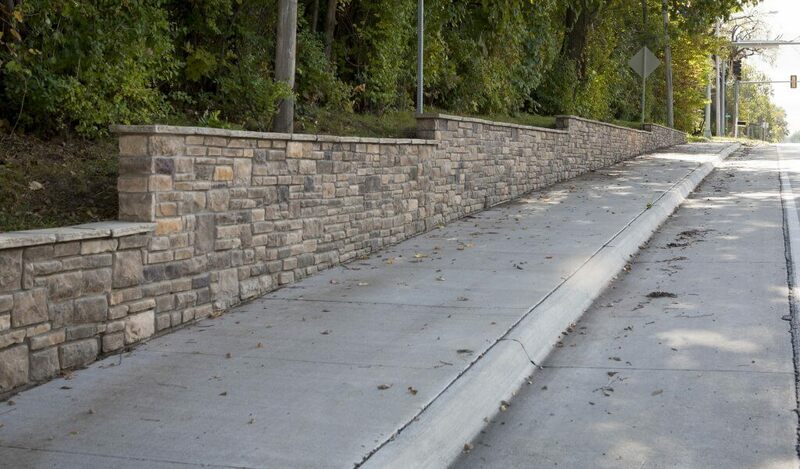 The value engineering proposal that changed the lagging to reinforced concrete prompted the owner to paint exposed retaining wall surfaces to create a uniform appearance. The contract plans called for a random cut stone form liner on the reinforced concrete cantilever retaining wall. 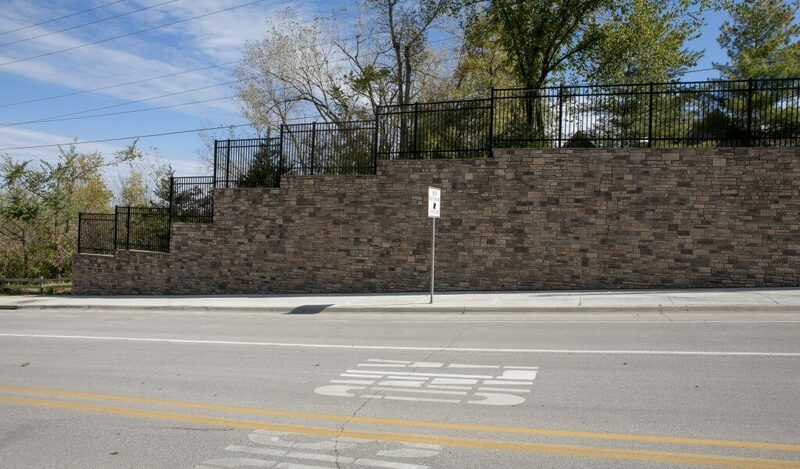 During construction, the owner decided to replace the formliner with real stone veneer to improve the look of the wall. 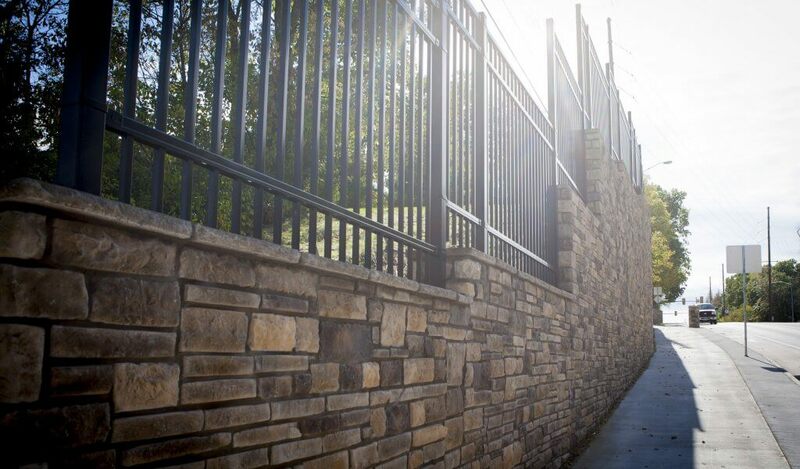 Overall aesthetic treatments included form liners, stained concrete, veneer stone, and ornamental fences.